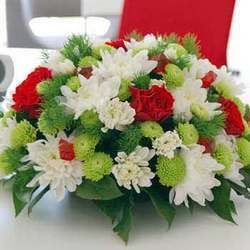 Composition for office "To dear guest!" It's very simply to show the hospitality! By placing such a composition in the lobby, you pamper your visitors and unusual design for candy emphasize your creativity and without a doubt will make a positive impression. After all, success depends even on the little things! 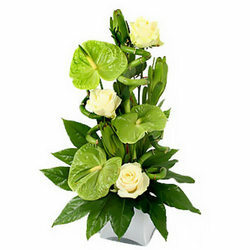 Composition: 3 anthuriums, branches of green chrysanthemum santini, greenery, floral material, vase. 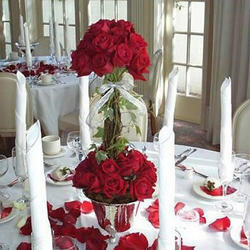 (The cost of vase included in the cost of the bouquet. 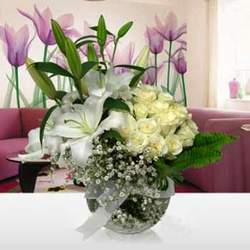 Vase can be replaced with the same type, in case of absence of the model in stock. Candies are not included to the cost of composition.). 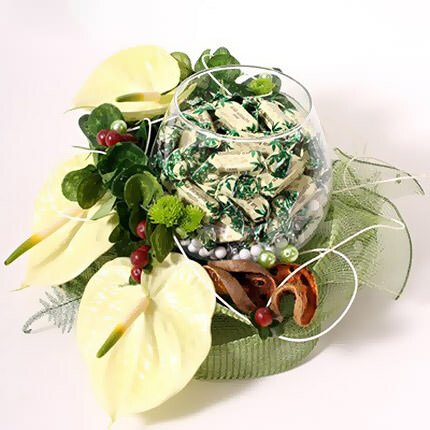 Composition on the table "Dessert"
Composition at the front desk "GreenPeace"
20032019 © Flowers.ua Composition for office "To dear guest!"